It is customary for online casinos to offer first deposit bonuses and present customers with a generous array of reload promotional codes. All these are still on the table with Manhattan Slots Online but on top of this, the online casino offers a special reward to those who play their games throughout October. To be more precise, they will provide them with a free chip worth $25 and easier than ever wagering requirements, so that the lucky winners can withdraw the money without delays. The good news is that you don’t have to go for the maximum amount and even a minimal deposit of $20 will do the trick. Assuming players go for the smallest amount acceptable, they will end up doubling their bankroll while using the bonus code 3 times for a total of $60. It makes no difference whether you deposit a lot or a little, because the total amount that includes the bonus and the deposit will have to be played through 20 times before making withdrawals. Compared to other wagering requirements, this one is easier to meet, which is yet another reason to choose Manhattan Slots Online this autumn. Players need to keep in mind that all the perks, including the bonus and the free chip are conditioned by the using of the appropriate bonus code at the very moment they make the deposit. The online casino has a tradition of offering first deposit bonuses as well as matching subsequent deposits, but this is the first time they offer a free chip as well. It is only fair to assume that the success of this promotion will provide them with the impetus to persevere and in the upcoming months we might see them offering even larger freebies. Right now, even the $25 check should be enough for those who didn’t make up their mind yet. It is virtually impossible to find a single day when Manhattan Slots doesn’t offer a first deposit bonus, or other incentives for new players. The nice variety of games and promotions that stay fresh throughout the year, make this online casino a fast rising star in the industry. More recently, they seem to be focusing on a different type of freebies, namely the free spins that slot games enthusiasts are so excited about. Those who spent most of the time playing online poker, know how important it is to enjoy a good start and that’s why they play freerolls. Basically these free spins are the equivalent and September was a great month for those who made use of their promotional codes. There is no indicator that October will be any different, in fact that are several reasons to be optimistic about what the future will bring. For the time being we are presented with the RDLS50TURN promotional code which is a godsend for those who play Builder Beaver on a daily basis. By simply entering this bonus code when making the deposit, they would have the amount matched 50% and on top of that receive 35 free spins that can be used at the aforementioned games. In order to make a withdrawal, the player would have to meet the wagering requirement which consists of the entire amount being rolled over at least 20 times. If you are wondering how much these free spins are actually worth, know that they represent $12.5, which without being a huge amount is still a welcomed bonus. Assuming you know nothing about Builder Beaver, it is worth mentioning that this was one of the most popular slot games of 2013. Its 25 pay lines present players with multiple opportunities of winning big and the jackpot consists of the original stake multiplied 10,000 times. Naturally, those who play at higher stakes are more likely to win a huge amount, but the great thing is that even by taking advantage of these free spins you can compete for the jackpot. So far, nobody broke the record by winning the jackpot while free rolling, but there is a first time for everything and new Manhattan Slots could be the ones to break the ice. The online casino is diligently working towards creating a base of loyal members, and these promotions do a brilliant job in increasing their number. 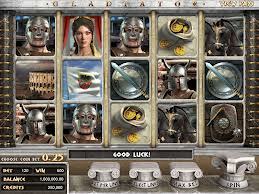 Manhattan Slots is powered by Realtime Gaming casino software which is one of the best in the industry and the software developer is behind most of the popular online slots developed. 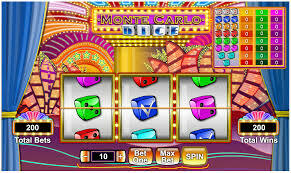 With this mix of alluring promotions and a rocksolid base of new games, the online casino has good reasons to be optimistic about achieving its target for 2014.